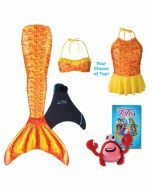 All new swimwear made with comfort in mind! 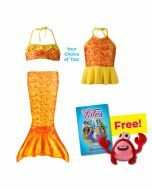 Energetic and cheerful, our Tropical Sunrise Tankini Top will set your heart afire with its sunny combination of yellow, gold, and orange. 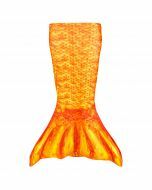 Pair this top with Destiny’s Tropical Sunrise Mermaid Tail for a complete set! You’ll love how the vibrant scale pattern of our Tropical Sunrise Peplum Tankini Top virtually glows before your eyes by combining the warmest tones under the sun. 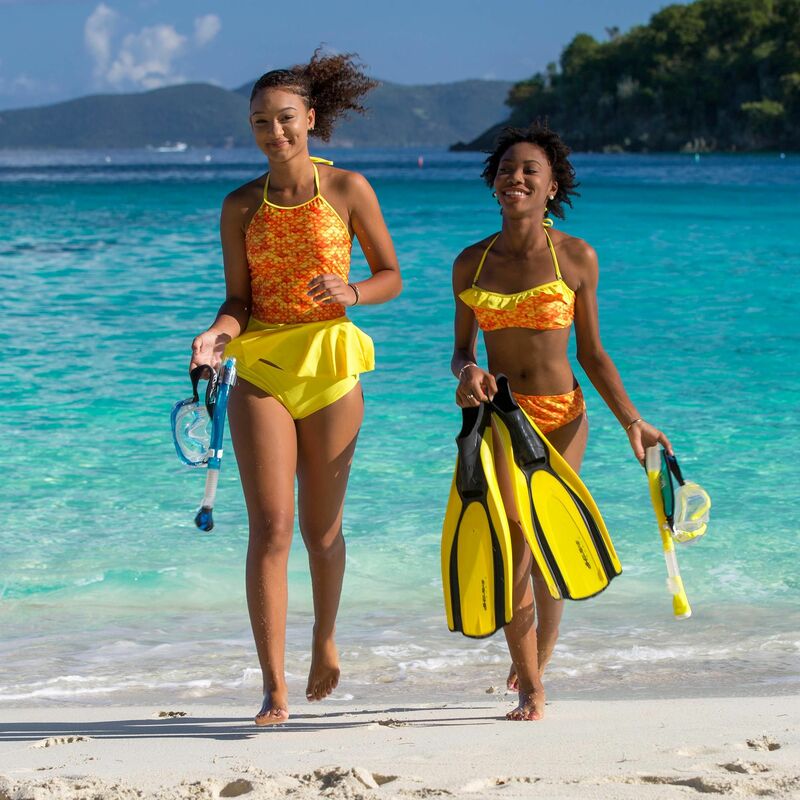 With a bright yellow peplum that compliments the yellow, gold, and orange colors of the scaled top, you’ll be ready to shine at the pool or beach. Elastic straps allow you to tie this top comfortably and securely. This peplum top features vertical seams for a flattering fit and a built-in bra top with molded cups supported by elastic. Bottoms sold separately. 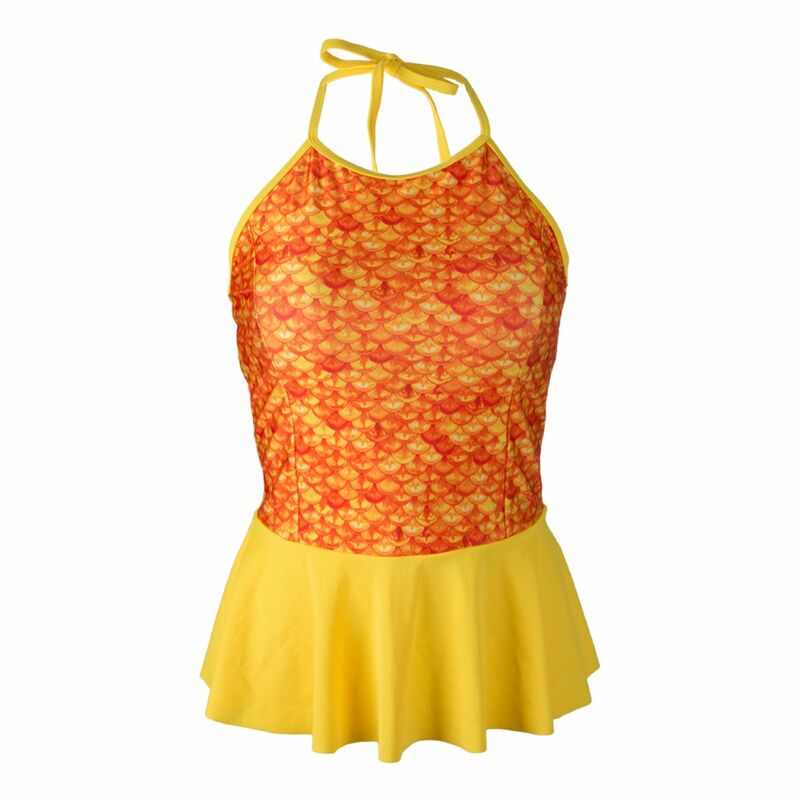 Pair this top with our Tropical Sunrise scale pattern bottom, or solid Yellow bikini bottom. 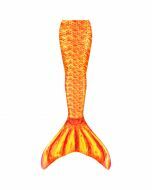 Meet Mermaiden Destiny at www.finfriends.com!